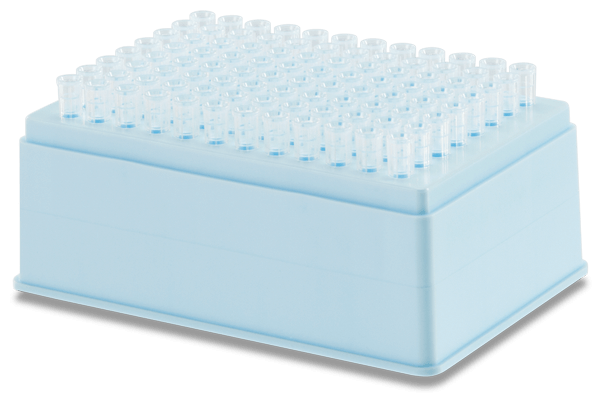 These (AP96) P20 sterile pipette tips are designed for the Biomek 3000, NX, NXp, FX and FXp Laboratory Automation Workstations. The P20s are made of 100% premium polypropylene and manufactured to ensure each tip is straight, leak-proof and guaranteed free of DNA, DNase/RNase, PCR inhibition, pyrogen/endotoxin and trace metals. Case of 10 racks.